$42 - Shining in silver, these beautiful Yosi Samara flats are sure to be her favorite pair of shoes this fall season! 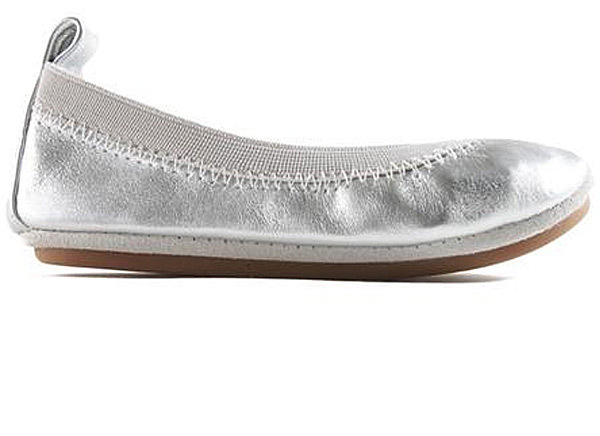 The sweet flats are fashioned from a soft leather fabric in a stunning shade of silver. The flats feature a cushioned footbed and a sturdy, gripping rubber sole so she can be sure to have the best grip whether she's at school or on the playground! The shoes fit in a classic ballet flat style and boast a stretching elastic band around the opening of the shoe for the most comfortable fit!